Life for Irene Spencer was a series of devastating disappointments and hardships. Irene's first book, Shattered Dreams, is the staggering chronicle of her struggle to provide for her children in abject poverty and feelings of abandonment each time her husband left to be with one of his other wives. Irene was raised to believe polygamy was the way of life necessary for her ticket to heaven. The hard knocks of her environment were just the beginning of Irene's shocking tale. CULT INSANITY takes readers into her story to uncover the outrageous behavior of her brother-in-law Ervil - a self-proclaimed prophet who determined he was called to set the house of God in order - and how he terrorized their colony. Claiming to be God's avenger and to have a license to kill in the name of God, Ervil ordered the murders of friends and family members, eliminating all those who challenged his authority. 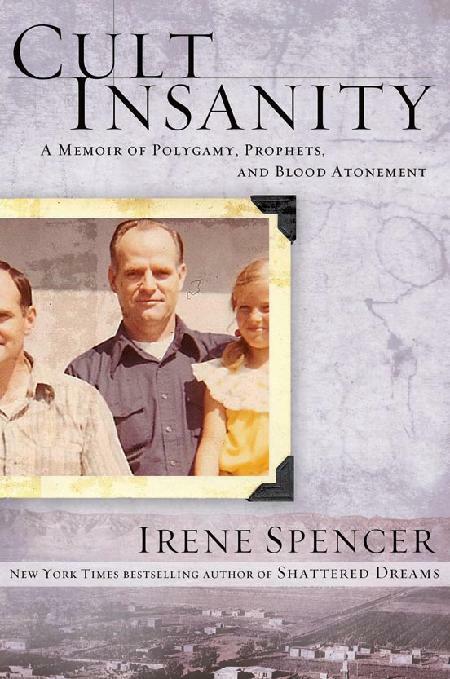 CULT INSANITY is a riveting, terrifying memoir of polygamist life under the tyranny of a madman.